More over at Midrats than here, regulars know one of my more persistent questions when discussions of the US military of tommorrow come up is, "Who are the advocates of both Parties on The Hill?" People are policy ... and we will see significant change over on the Senate side. As many as eight seats on the military panel — nearly one-third of the committee membership — could change before its next meeting, even with the Senate remaining in Republican control. Graham, who joined the panel in 2003, leaves as he is expected to ascend to the role of chairman of the Senate Judiciary Committee. He is also expected to retain the gavel of the powerful Appropriations Subcommittee on State, Foreign Operations and Related Programs, as well as remain a member of the Appropriations Defense Subcommittee. South Carolina, which has a large military presence, will lose representation on the panel as Sen. Tim Scott, R-S.C., also departs — alongside GOP Sens. Ted Cruz, of Texas; Ben Sasse, of Nebraska; and Jon Kyl, of Arizona. Senate Democrats have already announced three new members for the Senate Armed Services Committee. Sens. Tammy Duckworth, a combat-wounded Army veteran from Illinois; Joe Manchin, of West Virginia, and Doug Jones, of aerospace powerhouse Alabama, will replace three departing Democratic lawmakers. The committee will add five incoming Republican senators: former U.S. Reps. Martha McSally, of Arizona; Kevin Cramer, of North Dakota; Marsha Blackburn, of Tennessee, as well as former Florida Gov. Rick Scott and former Missouri Attorney General Josh Hawley. With McSally, who Arizona Gov. Doug Ducey appointed to replace Kyl in McCain’s seat after she lost a Senate bid, Congress retains an advocate of the A-10 Warthog — a platform McSally piloted in the Air Force. Democrats are losing three senior members. 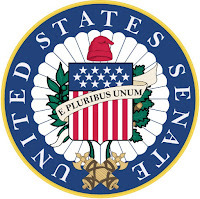 Scott bested Sen. Bill Nelson, formerly the SASC’s No. 2 Democrat; Hawley beat Sen. Claire McCaskill, a senior SASC member and top Democrat on the Senate Homeland Security and Governmental Affairs Committee; and Indiana Sen. Joe Donnelly, the top Democrat on the Strategic Forces subpanel lost to incoming Sen. Mike Braun. The panel will also see a large proportion of women, veterans and female veterans.